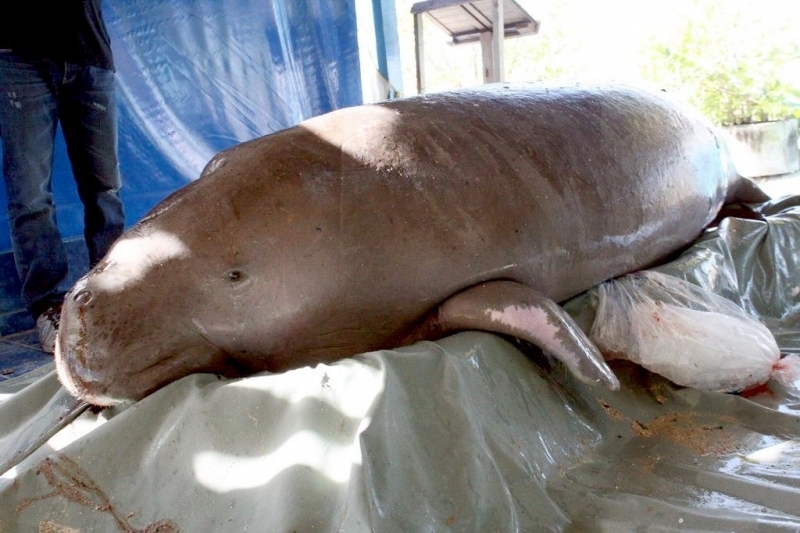 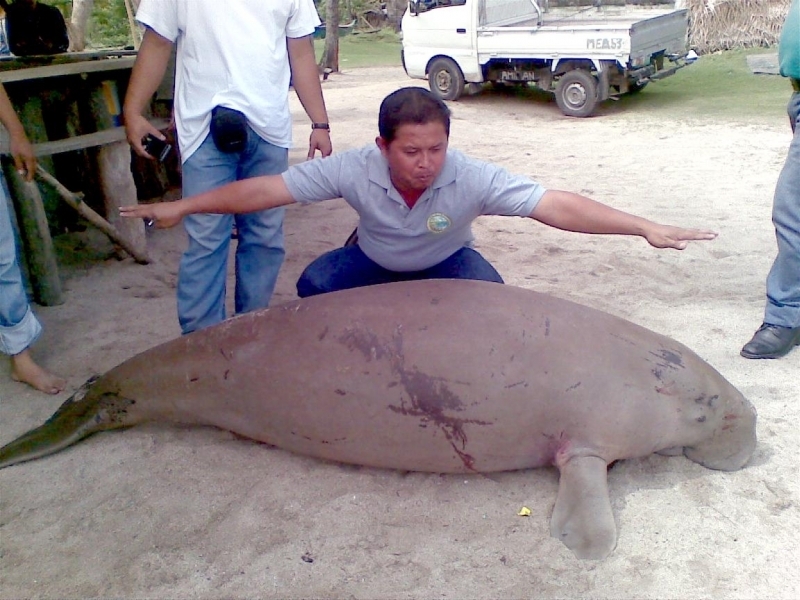 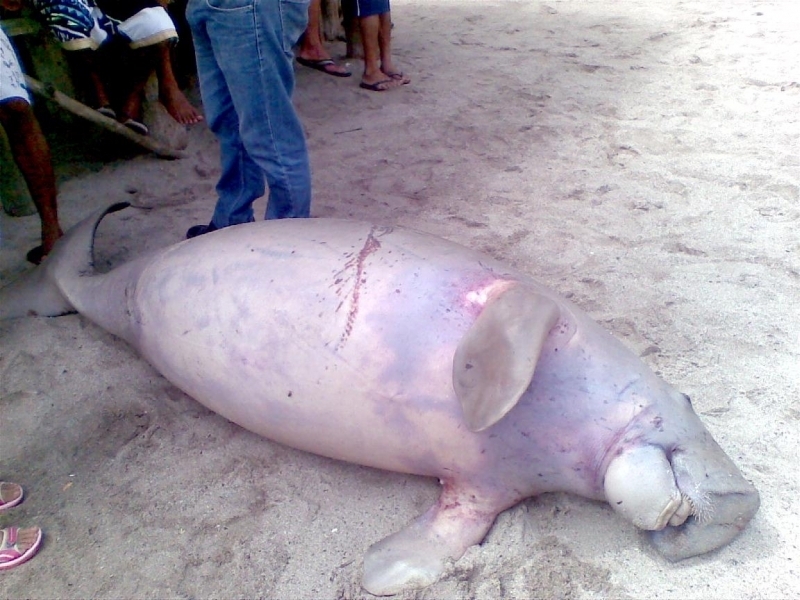 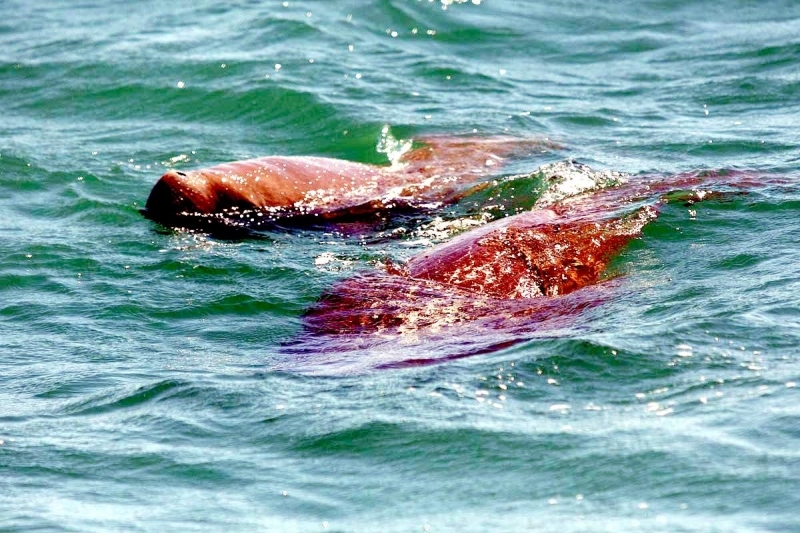 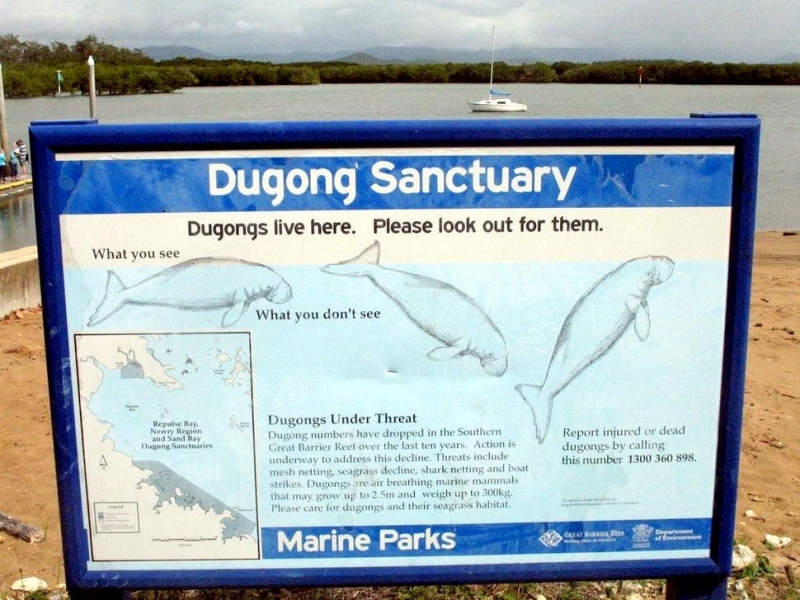 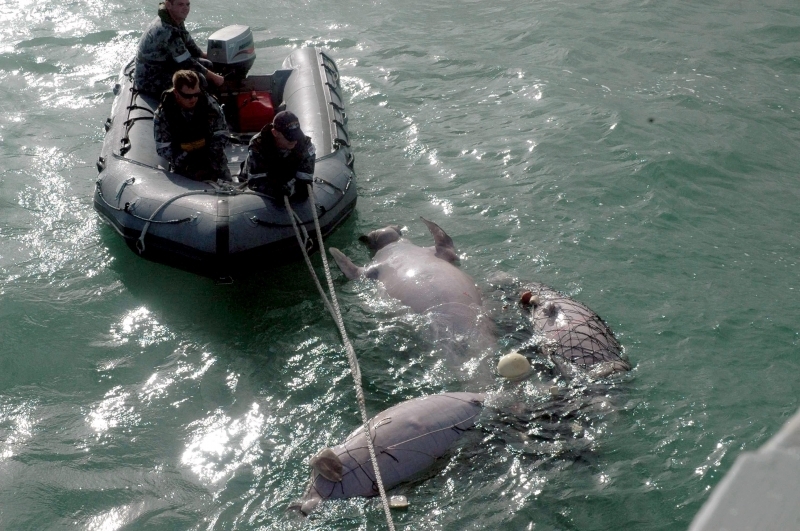 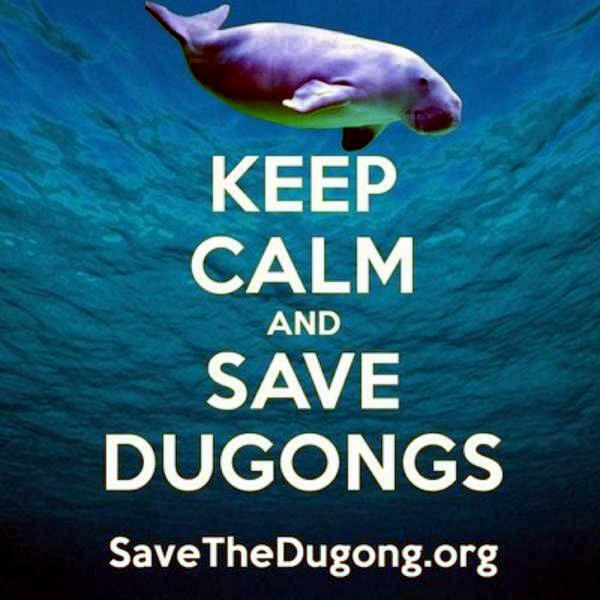 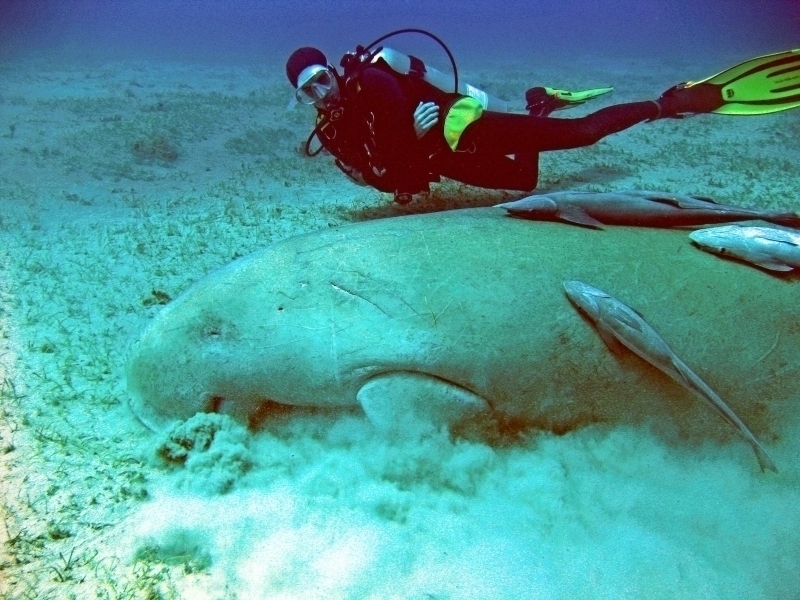 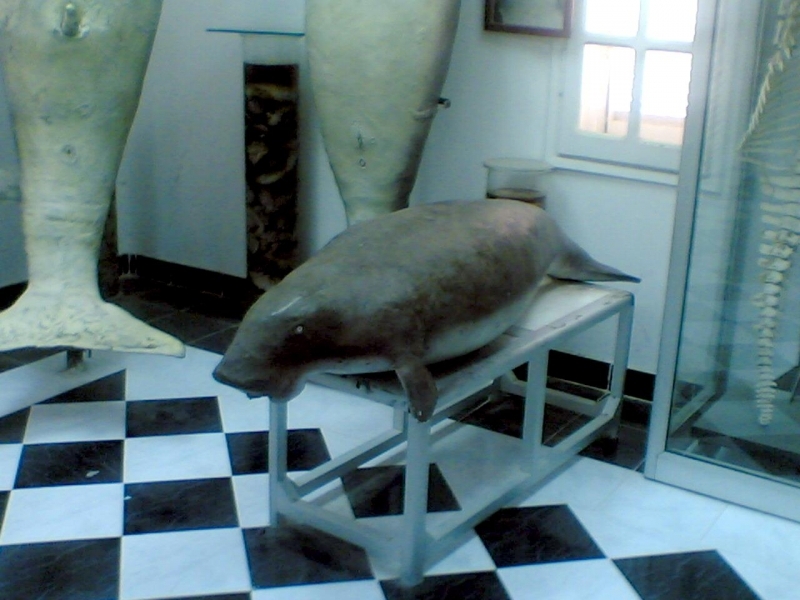 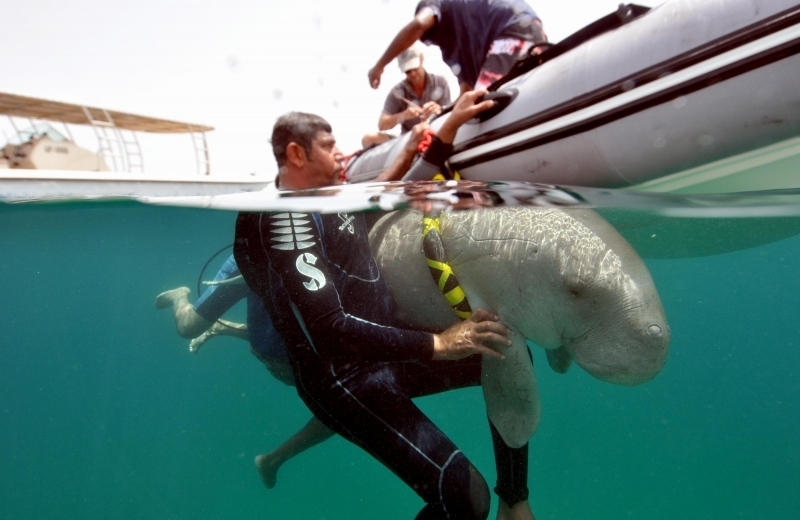 Dugongs range in length from 2.4-4 meters. 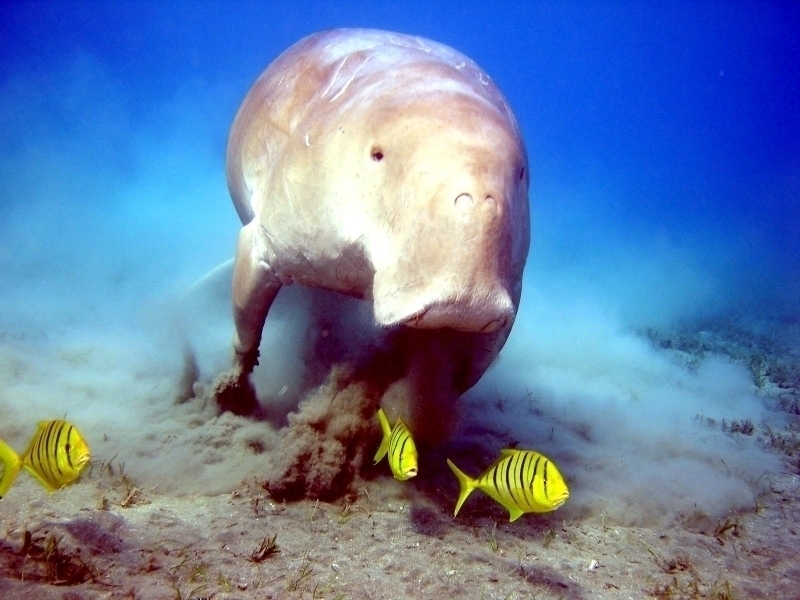 Sexual dimorphism is either absent or females may slightly outsize males and can weigh over 270 kilograms. 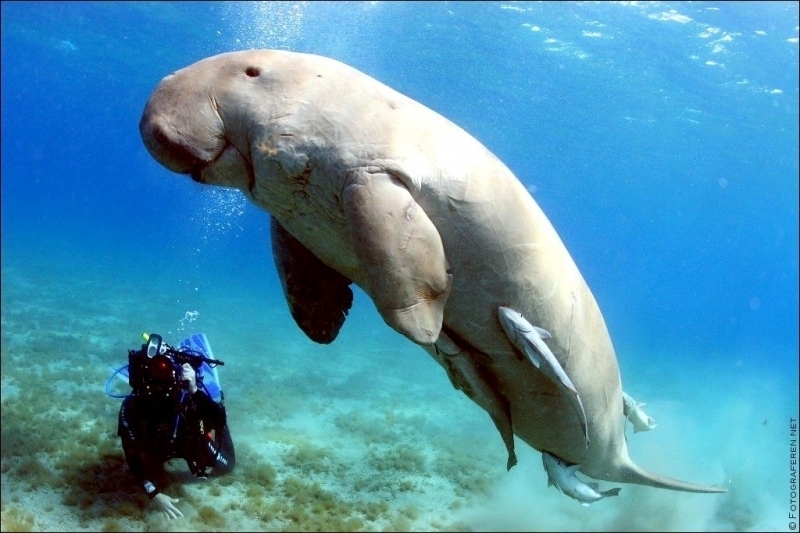 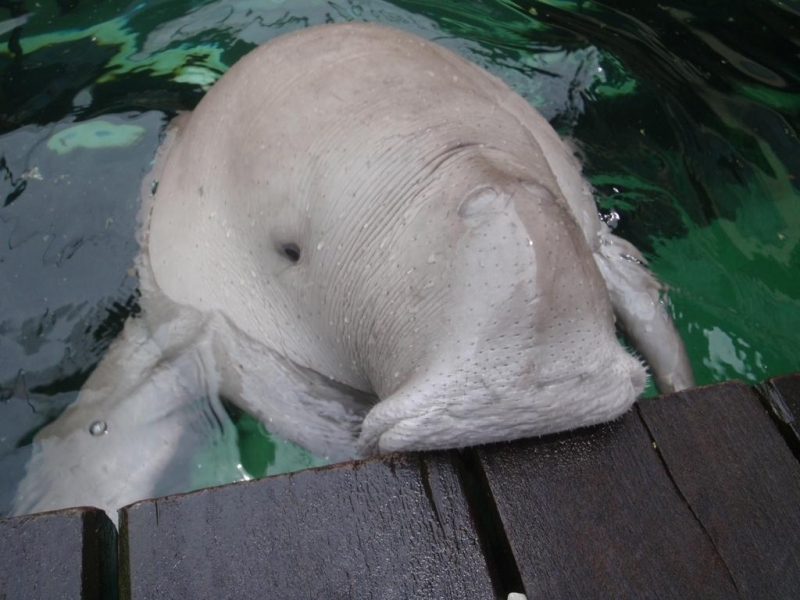 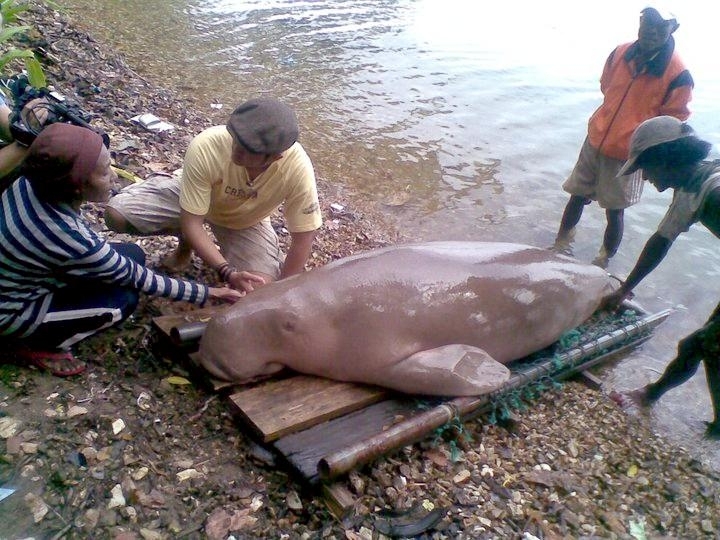 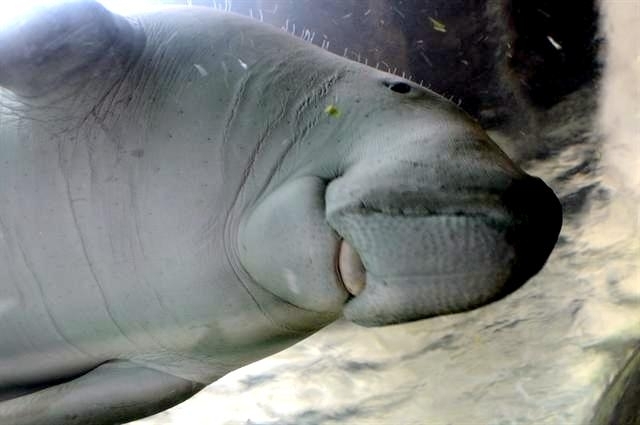 The word “Dugong” derives from the Tagalog term dugong which was in turn adopted from the Malay duyung, both meaning “lady of the sea”. 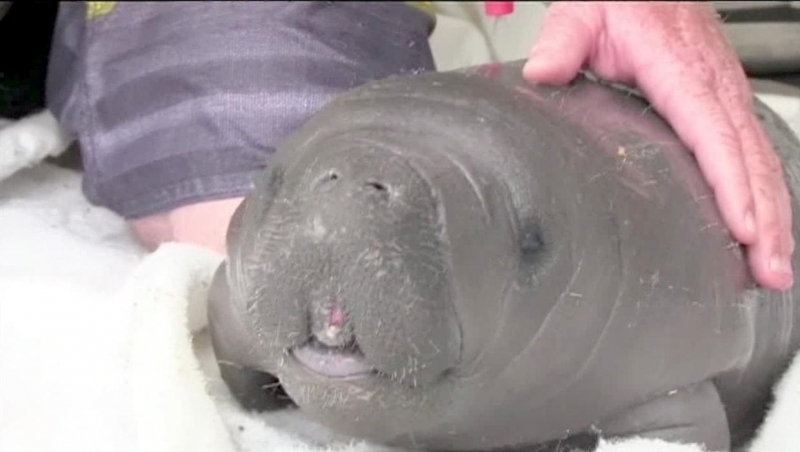 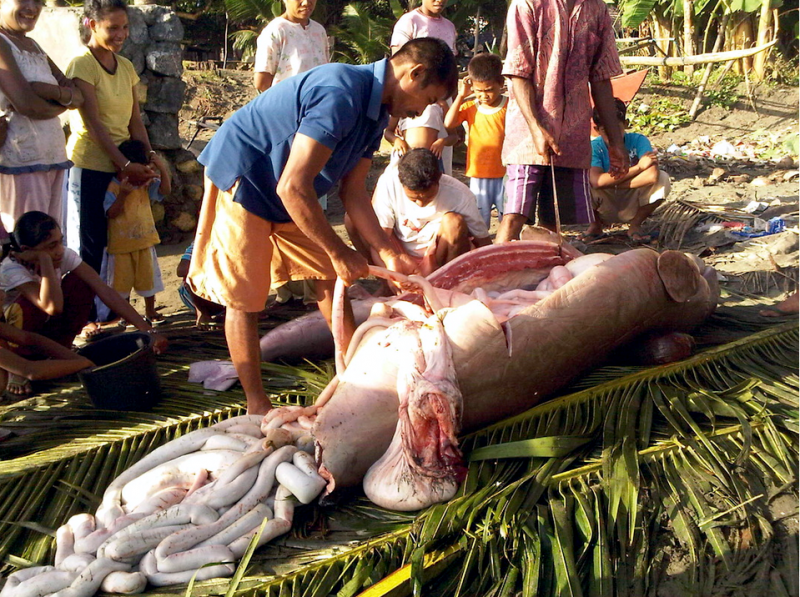 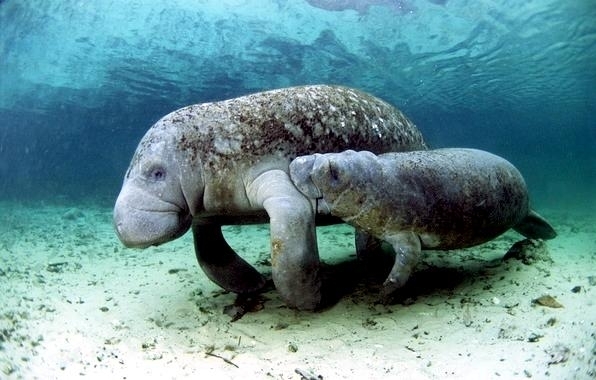 Other common local names include “sea cow”, “sea pig” and “sea camel”. 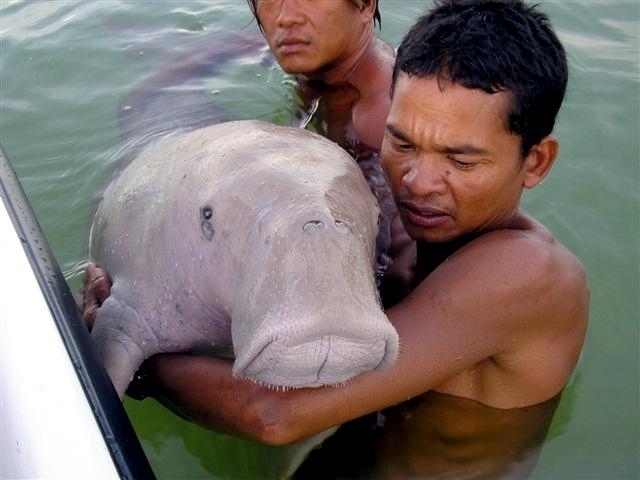 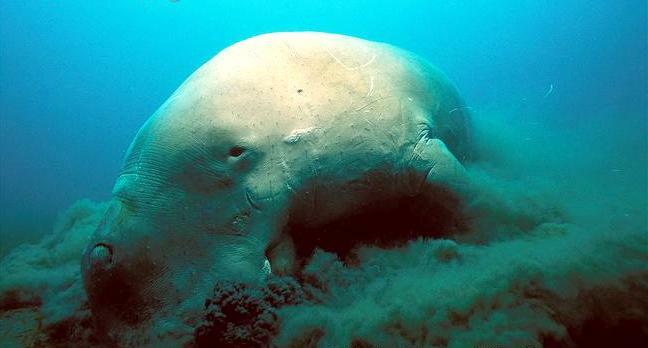 Dugongs are born a pale cream color, but they darken with age to a deep slate gray dorsally & laterally. 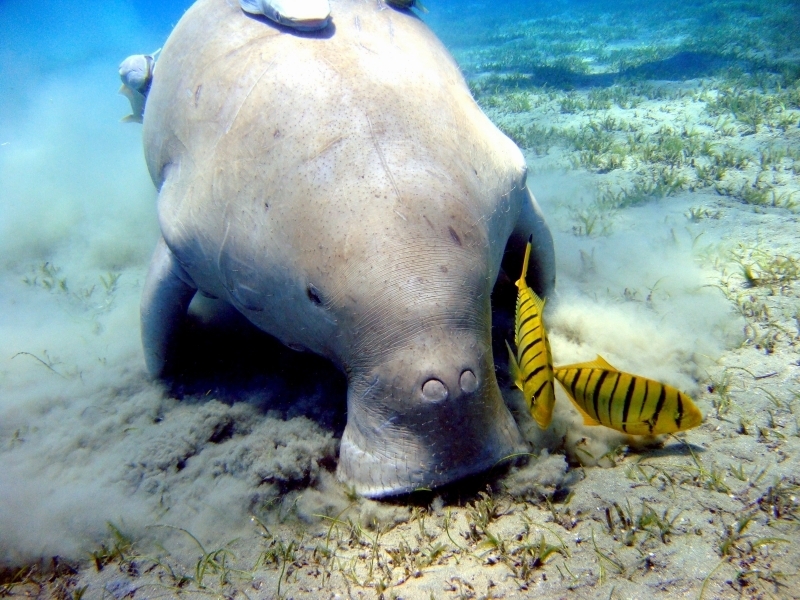 Short hair is sparsely distributed over the body, save the bristles on the muzzle. 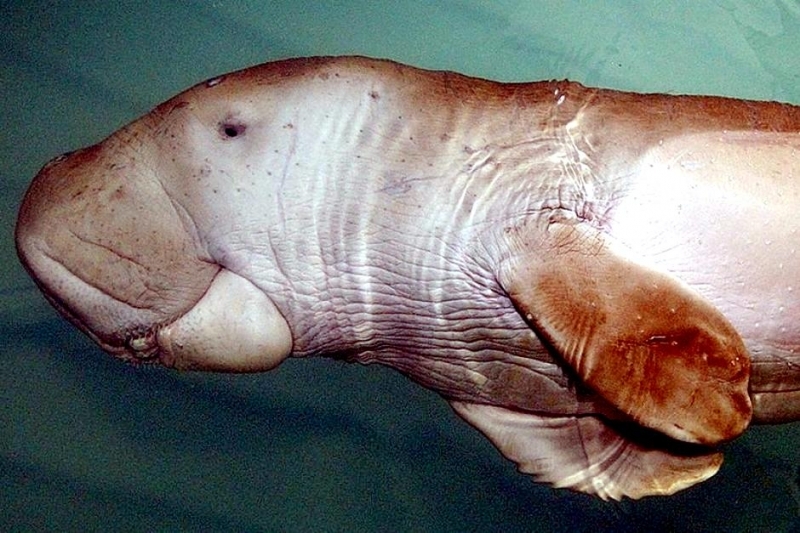 The skin is thick, tough and smooth. 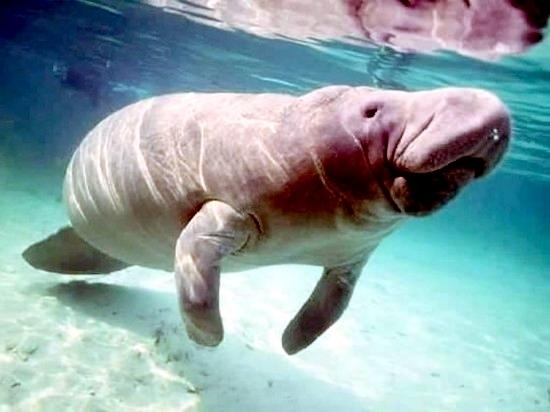 Their front limbs have evolved into flippers that are 35-45 centimeters long. 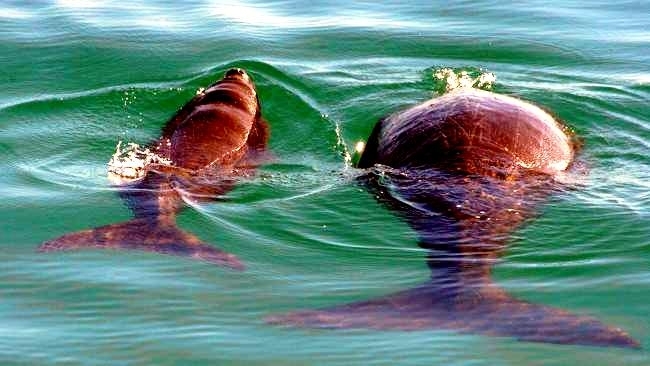 These are used for propulsion by the young, but the adults use their fluke-like tail for locomotion, using their flippers for steering. 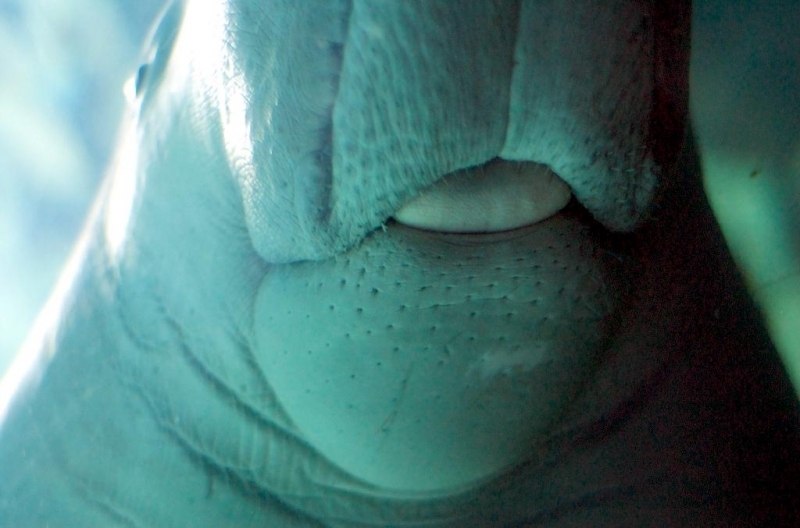 Their muscular upper lip is cleft and protrudes over their down-turned mouth. 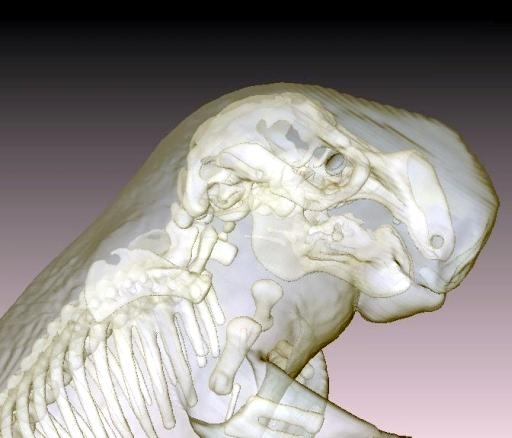 Their premaxilla is enlarged & down-turned, their nasal bones are absent, their brain case is small and their zygomatic arch (cheek bone) is thick & deep. 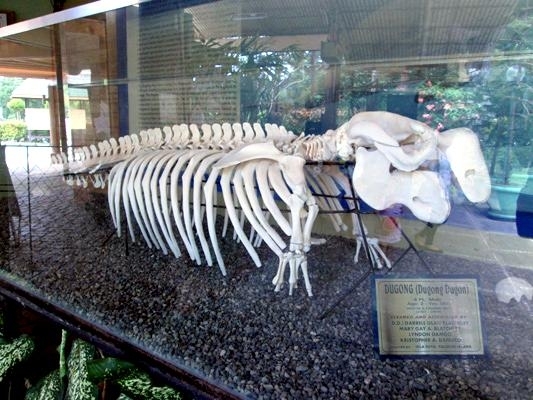 The bones of their skeleton are pachyostotic extremely thickened & dense. 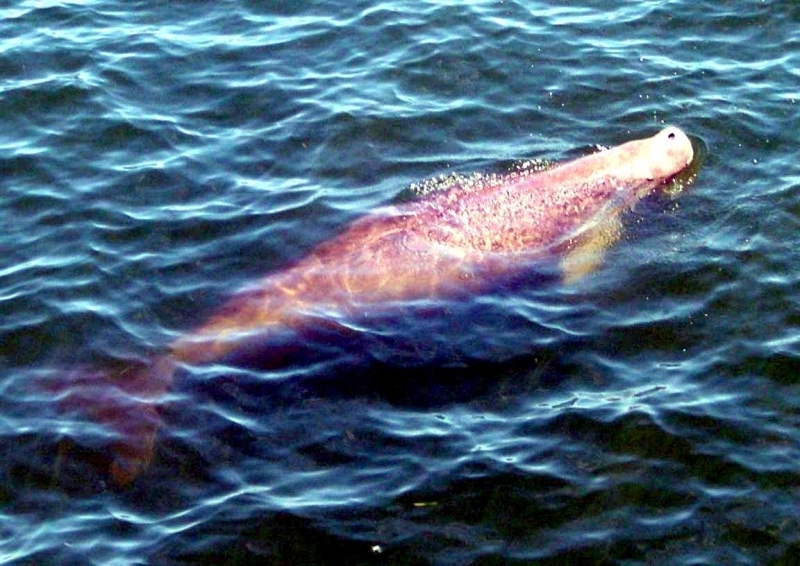 Although superficially they resemble whales, sirenians have evolved independently. 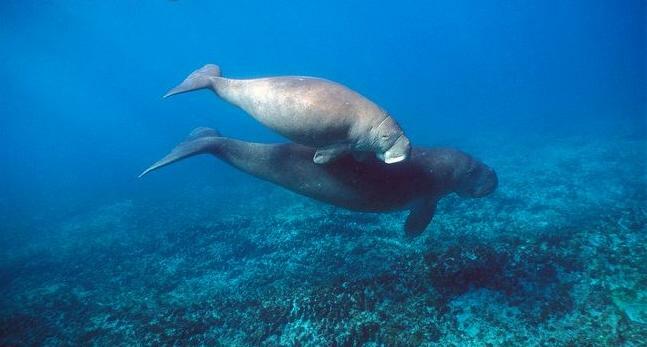 They are thought to be descended from the group of ancient land mammals that also gave rise to the elephants. 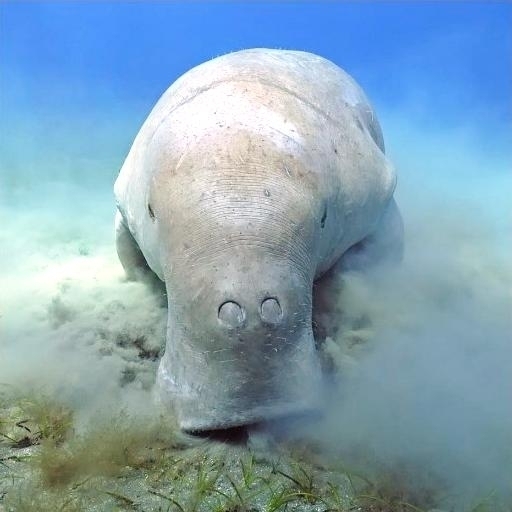 Dugongs are found discontinuously in coastal waters of east Africa from the Red Sea to northernmost South Africa, northeastern India, along the Malay peninsula, around the northern coast of Australia to New Guinea and many of the island groups of the South Pacific Ocean. 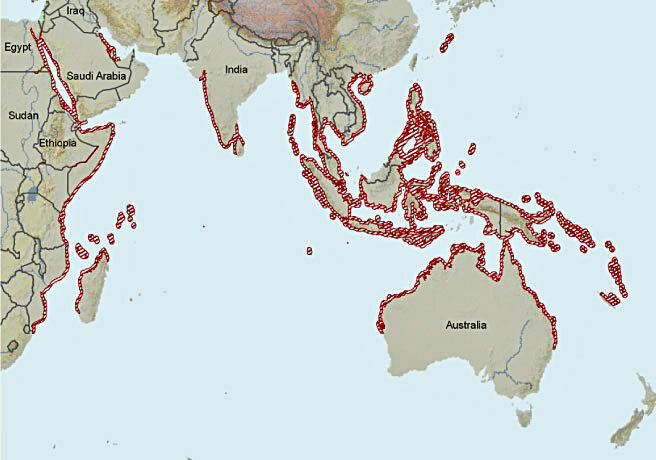 Their range was much greater in the past. 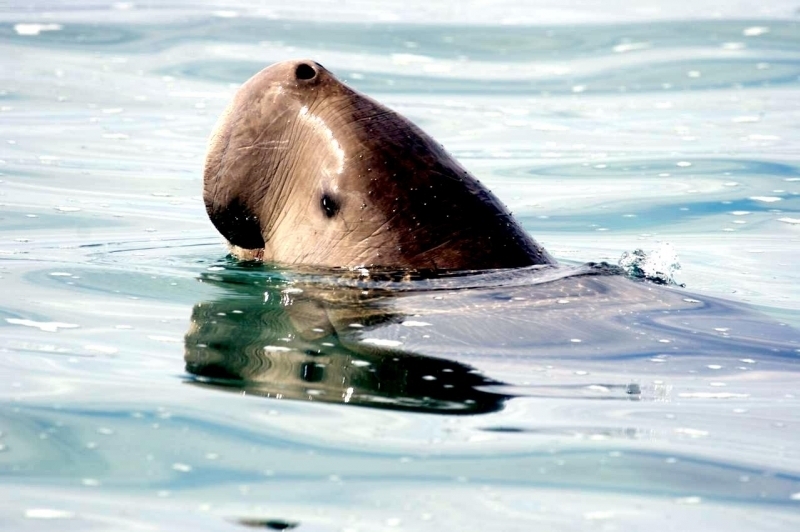 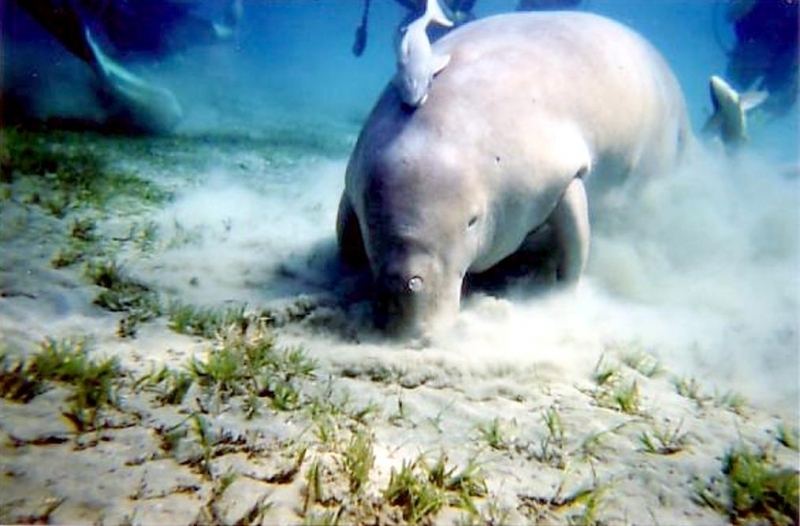 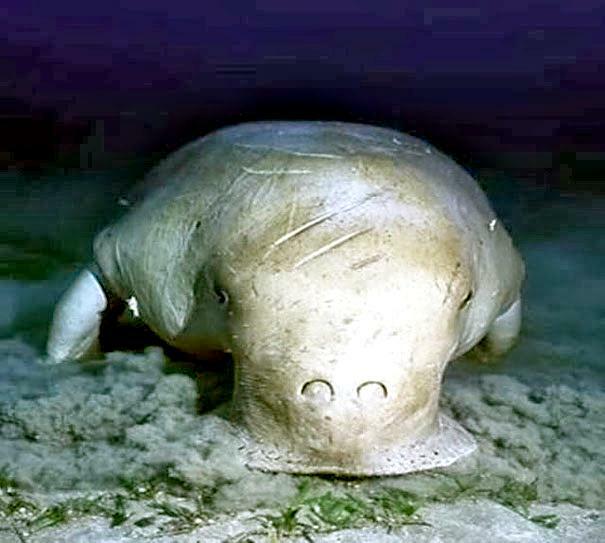 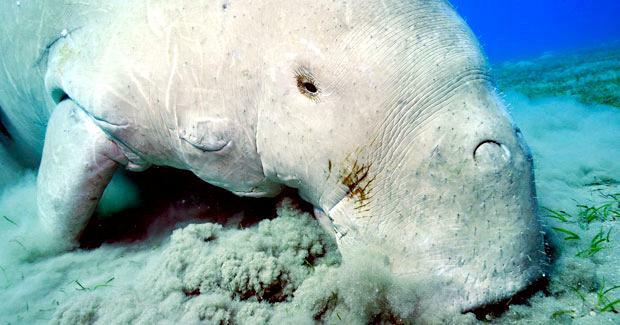 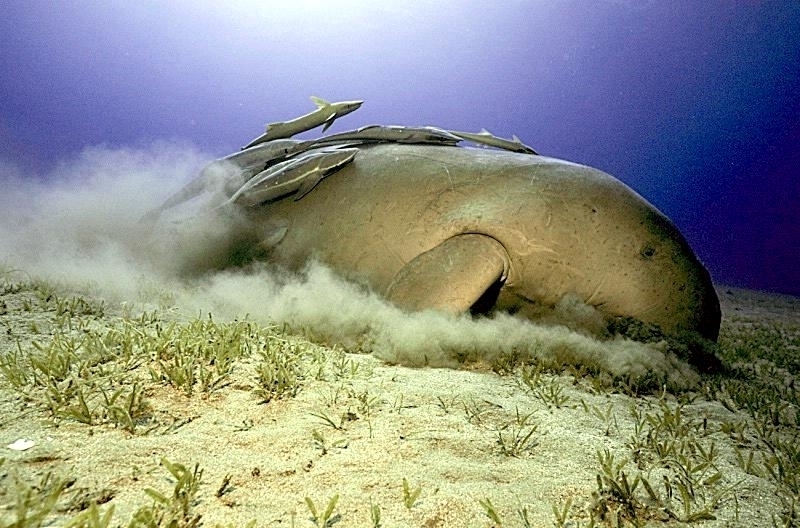 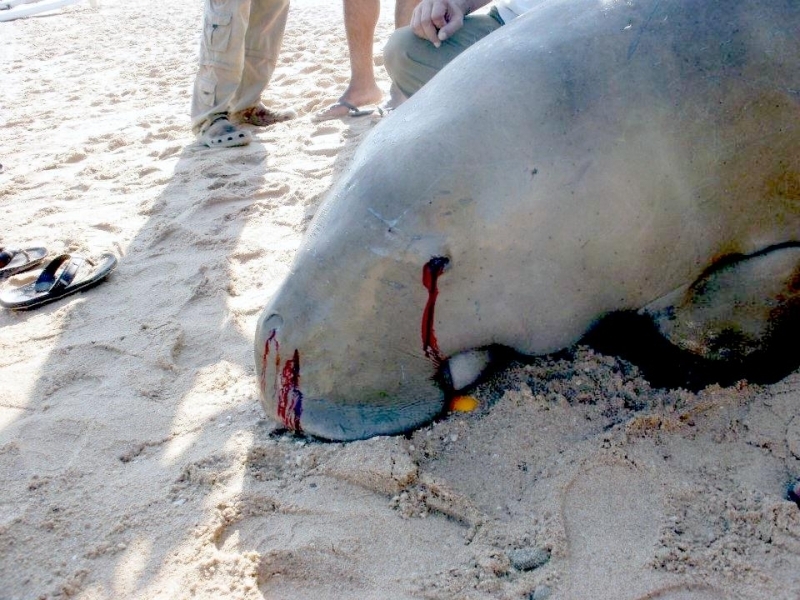 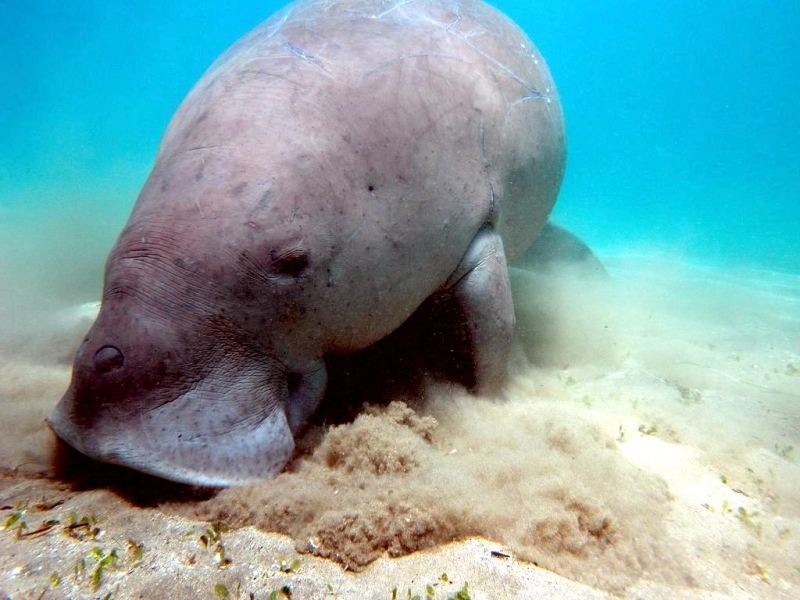 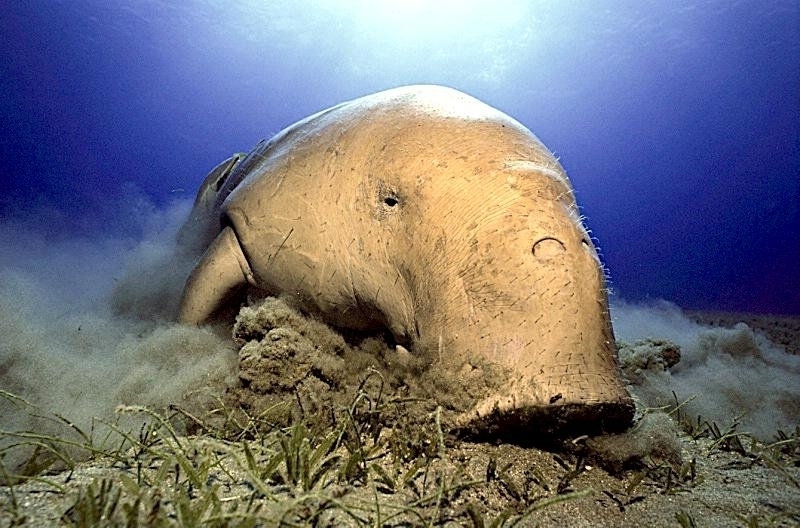 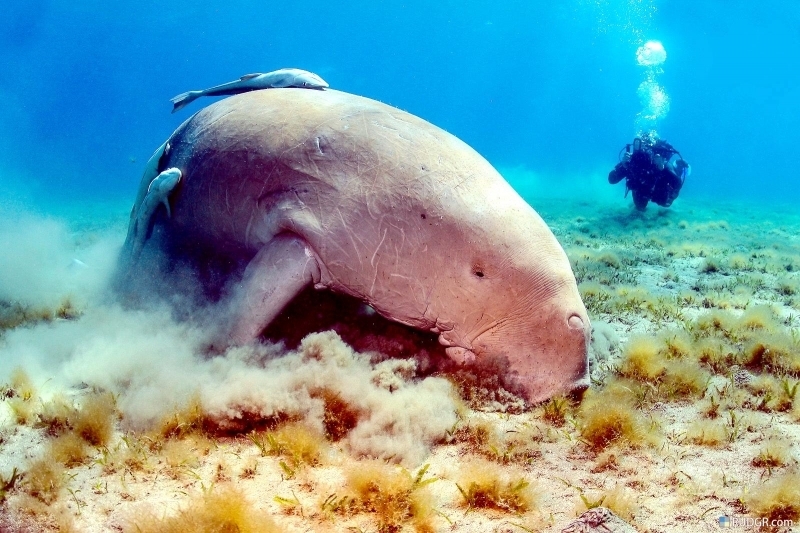 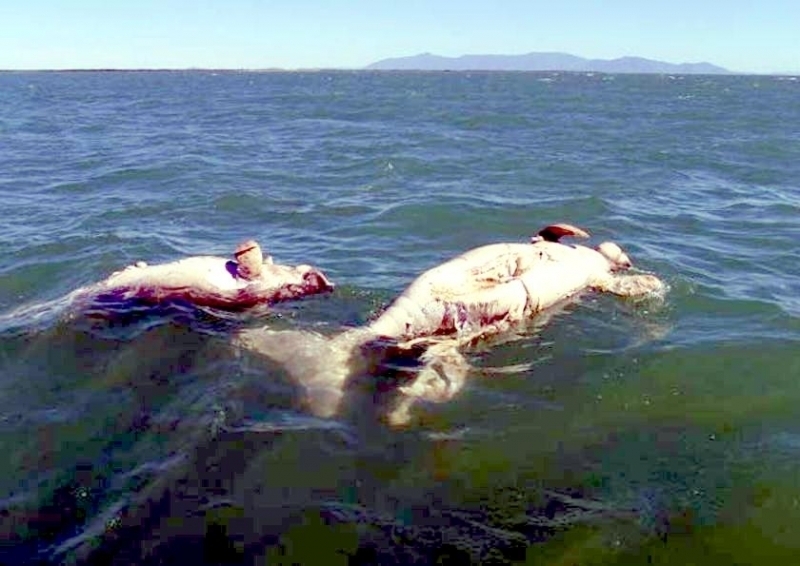 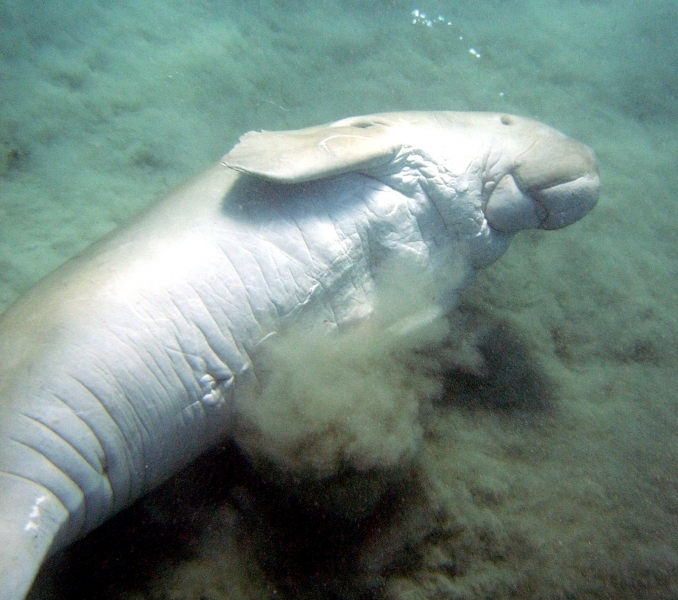 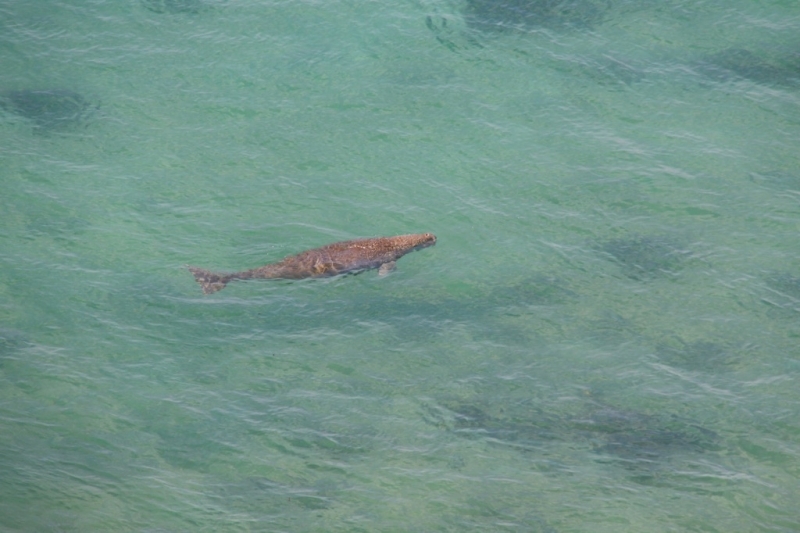 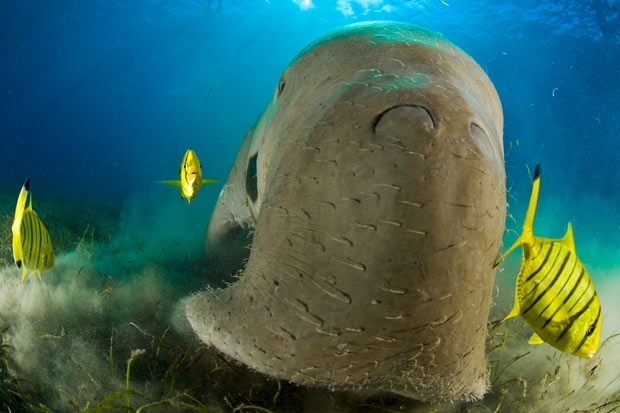 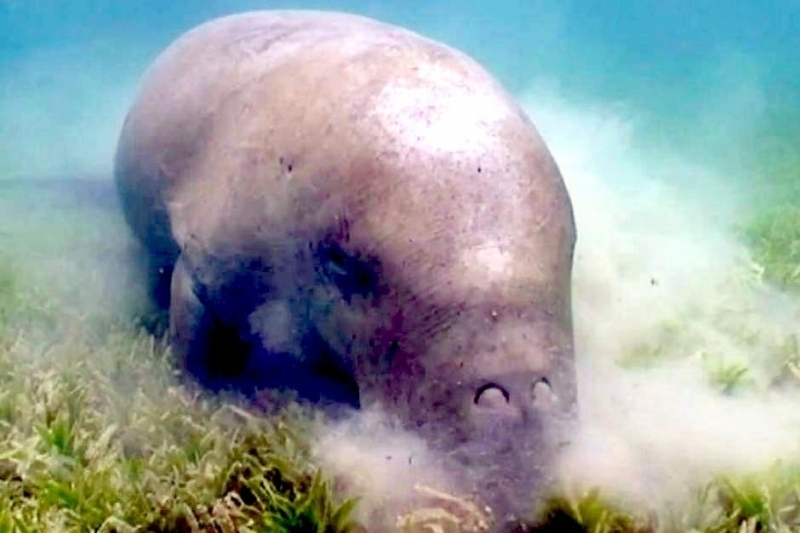 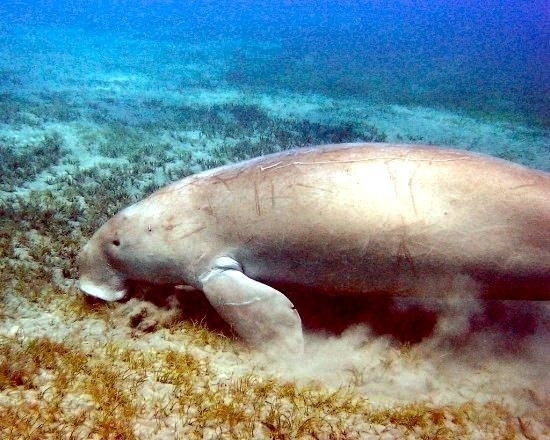 Dugongs inhabit shallow, tropical marine coastal water mainly confined to sea grass beds, which occur in calm & shallow coastal areas such as embankments & lagoons. 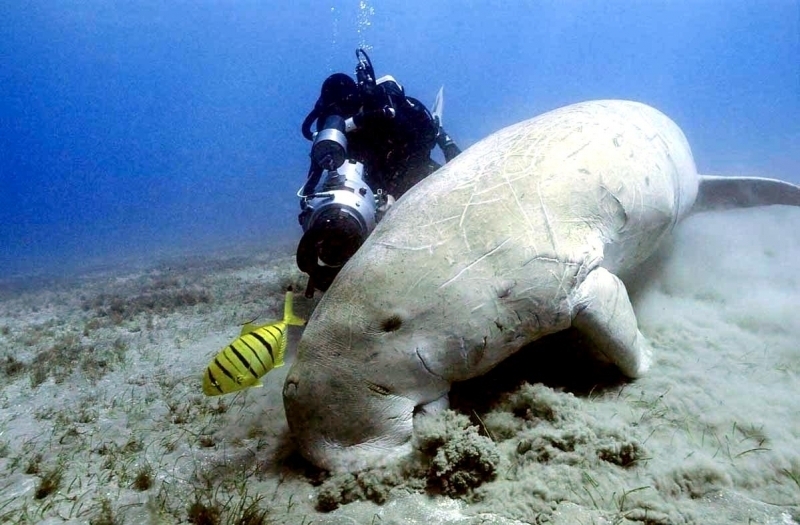 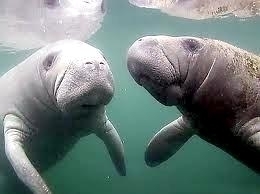 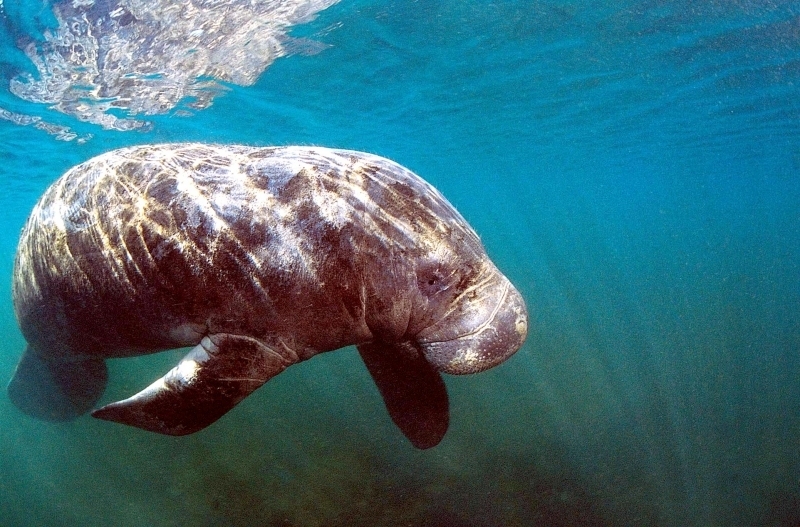 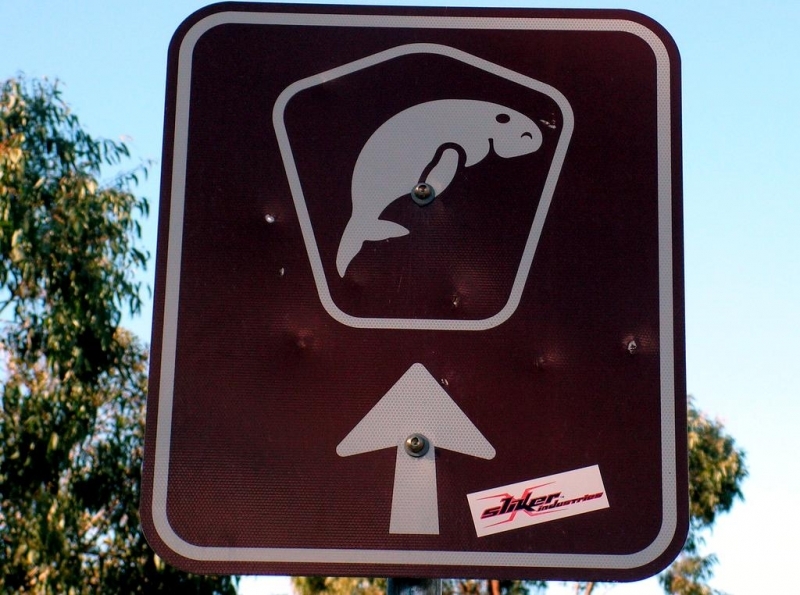 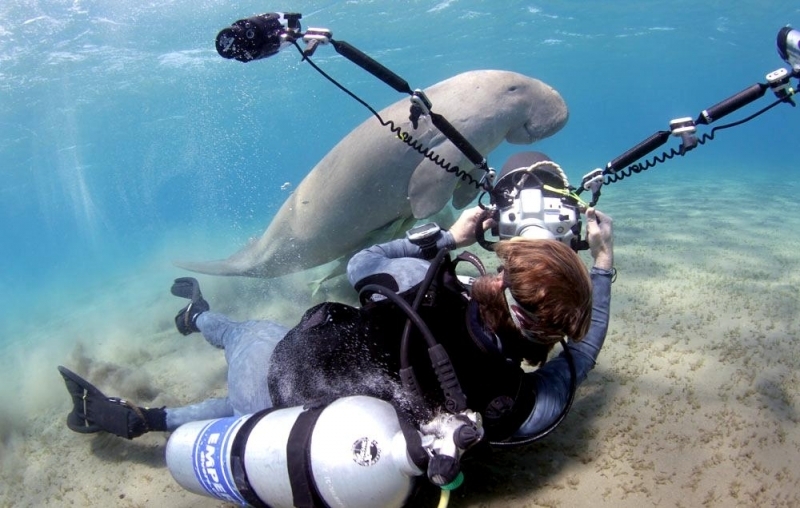 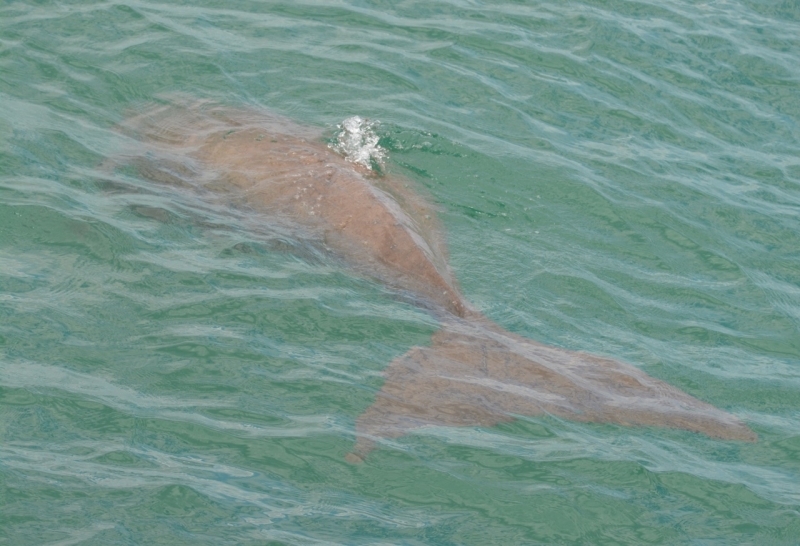 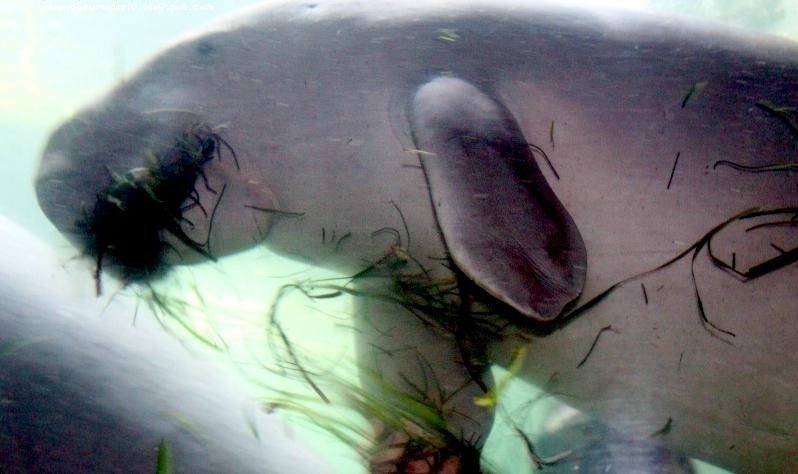 Dugongs are more strictly marine than their relatives, the West Indian Manatee as they seldom enter rivers. 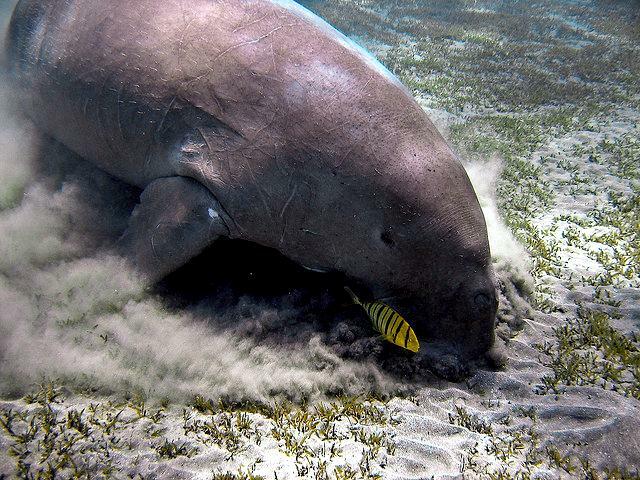 Dugongs feed on the sea grasses and are reported to occasionally eat algae & crabs have also been found in their stomachs. 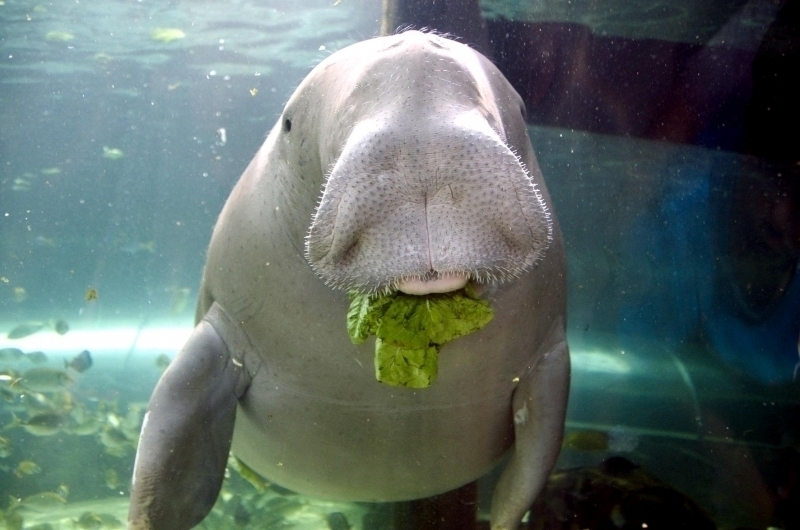 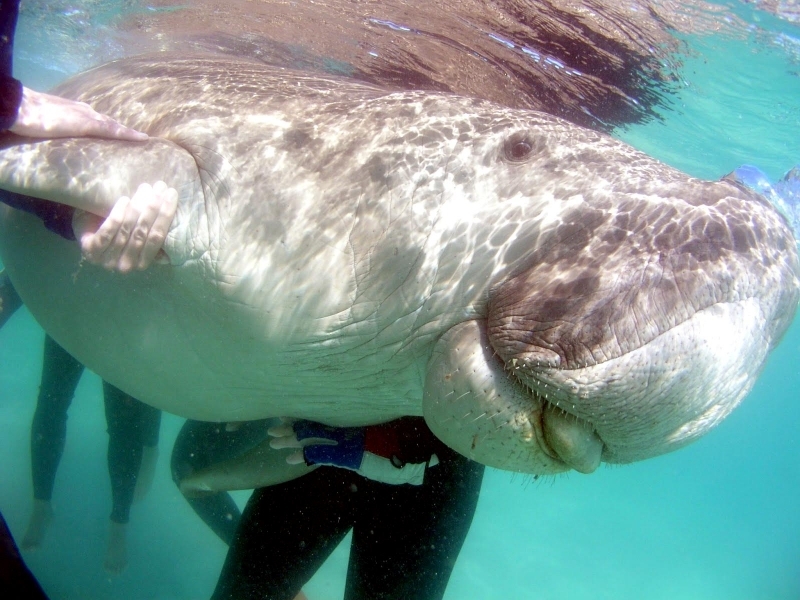 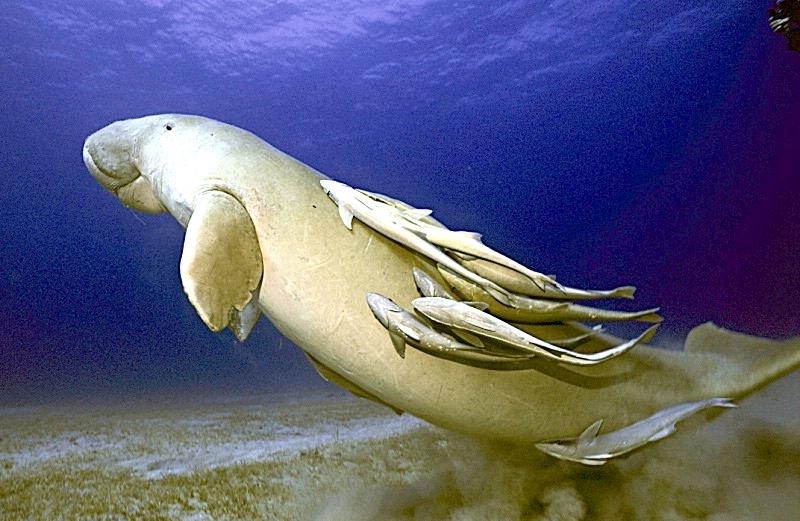 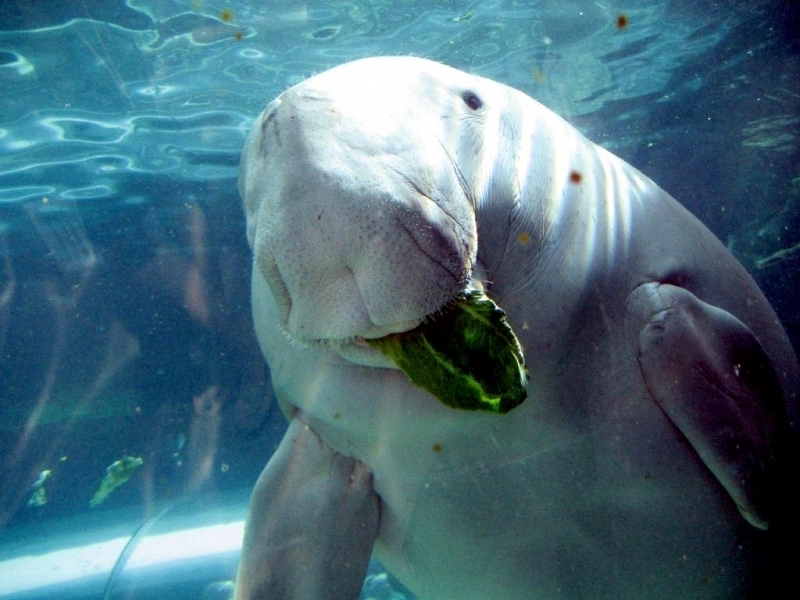 Despite its diet, the Dugong has a relatively simple stomach. 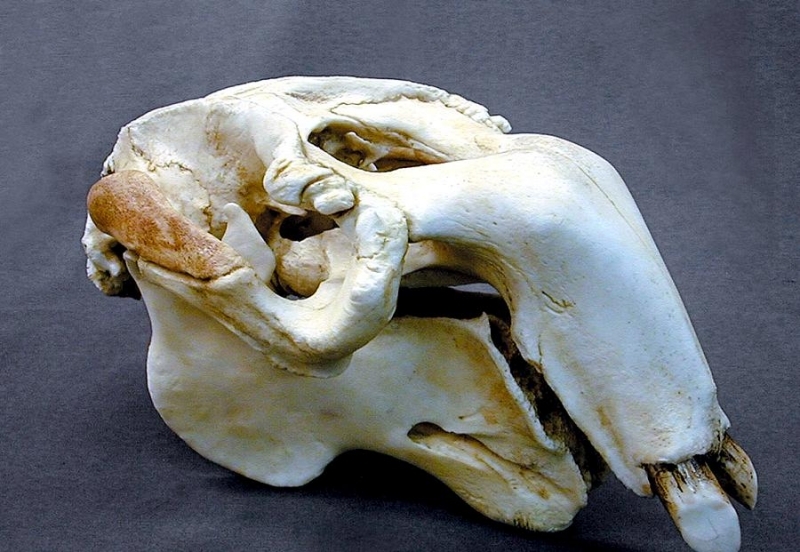 The lower lip and distal parts of the palate (roof of the mouth) have horny pads used to grasp vegetation, which is then uprooted with the strong upper lip. 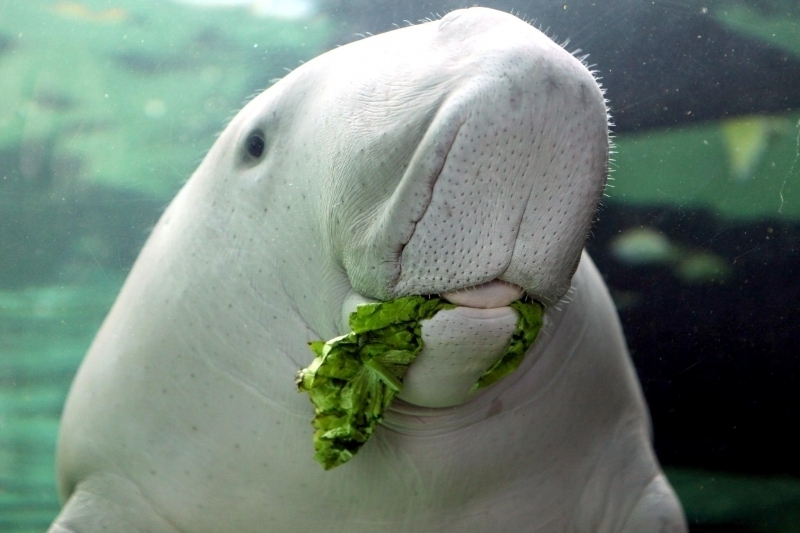 Dugongs have 10-14 teeth in adults. 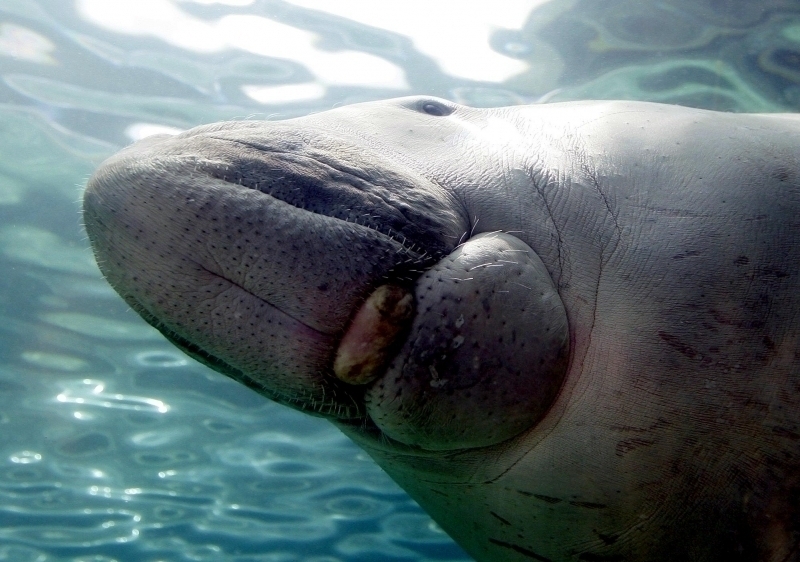 Their molars are rootless, circular in cross-section and lack enamel, males have long, tusk-like incisor teeth. 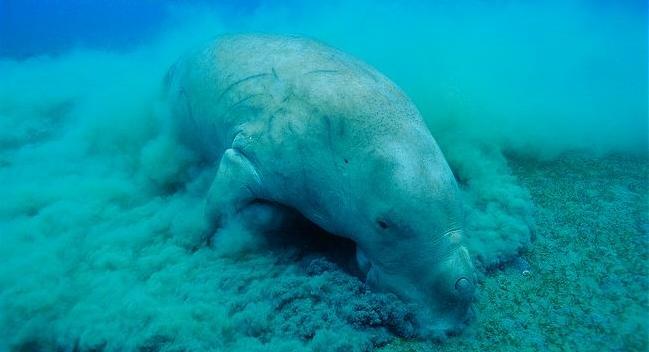 Dugongs are long-lived marine mammals with life spans of up to 70 years and a minimum pre-reproductive period of 9-10 years, though it can occur as late as 15 years and an estimated mean calving interval of 3-7 years. 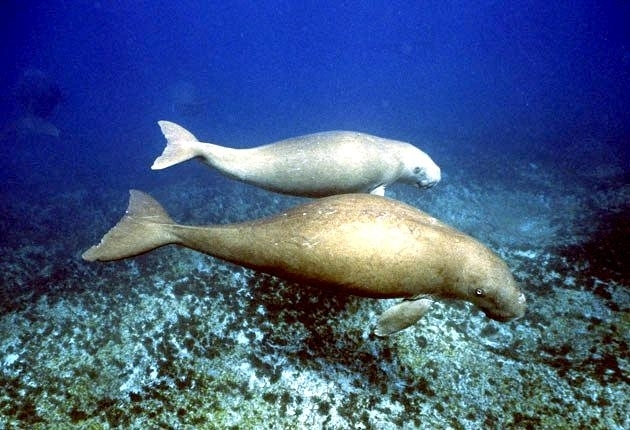 Breeding occurs throughout the year and peak months for birth vary geographically. 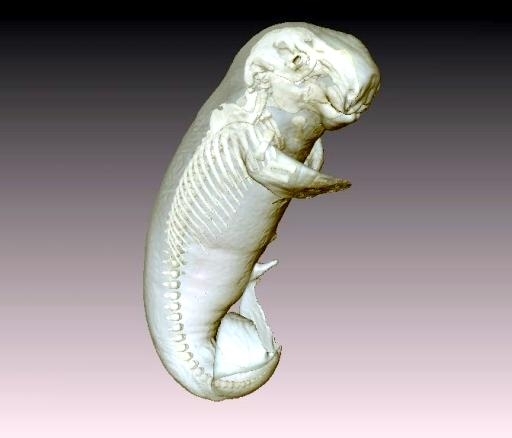 The exact length of gestation is unknown, but it is presumed to be about 1 year. 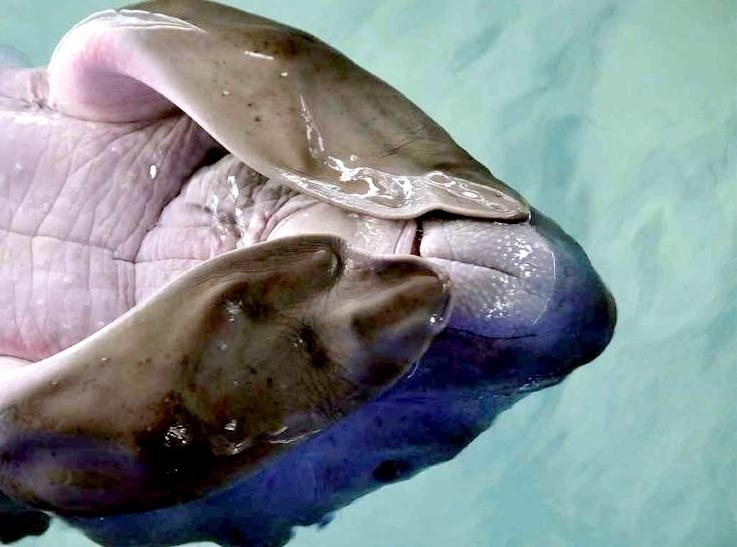 Single calves are the norm and twins are rare. 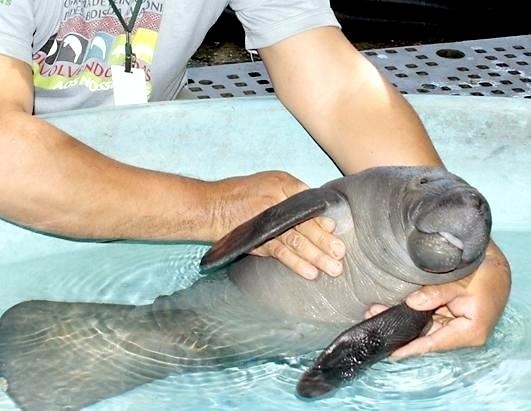 Parturition (the birth process) takes place in shallow water and newborn calves are able to swim immediately to the surface for their first breath of air. 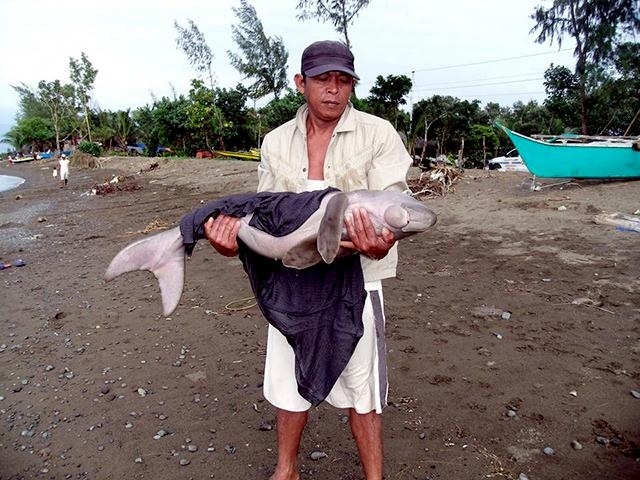 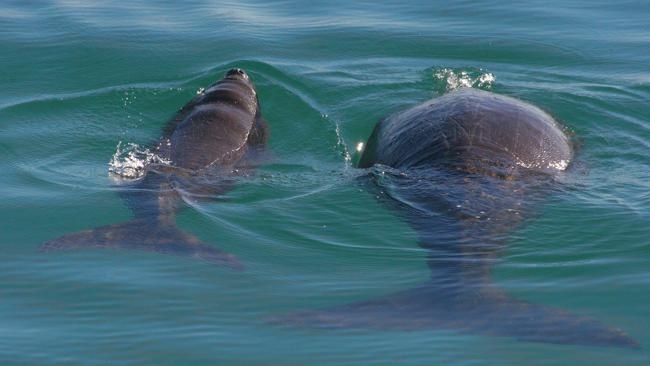 Newborn calves are about 100-120 centimeters long and weigh 20-35 kilograms and may remain with the mother for a year.